I’ve finally got a Leica M9 – a black M9-P to be precise. It’s been my intention to get one for almost as long as the M9 has been in production (more on that shortly) and a few days ago, I did. I need a camera I can easily carry with me all the time, equally important, I need one that doesn’t compromise on quality. Too many times in the past, I’ve returned to the desktop after a day out and found the results could have been better if I’d used a different camera. My regular camera over the last year, the Lecia D-Lux 5, is a very good piece of kit, but on a few occasions it struggled to capture the detail. Thanks to the physical properties of light, when it comes to sensors, size matters and there were times when detail in the scene overwhelmed the capabilities of the tiny sensor. When using other cameras, DxO Optics often helped me out with tricky images, unfortunately, there’s no correction module for the little Leica. So, whatever camera I got next, it had to have a bigger sensor. In addition to the technical capabilities of a new camera, there were other criteria to consider. For the work I’m considering, it had to be compact and easily portable, which effectively ruled out a full-frame DSLR. Until recently, I owned a Nikon D5000, which is a pretty compact package for a DSLR with an APS-C sized sensor, but that too had its drawbacks. With any lens mounted, it’s still not compact enough and you always need a good-sized bag to lug it with other bits and pieces around. I looked at all the new mirrorless systems, but again, once a lens was on the body, they bulked up and, thanks to the crop factor, good wide-angle lenses are a rarity. Most importantly, with my ageing eyesight, I need a camera with a viewfinder. Nowadays, I can’t see camera screens clearly without wearing glasses and I need different glasses for distance viewing. It’s a real pain when you’re trying to get a shot and too many times, I’d no real Idea what I’d captured until I’d downloaded the images and viewed them on a large screen. It’s a common problem, yet it’s often ignored in camera reviews. When Fujifilm launched the X-100, it looked like all the issues had been resolved for me – a very good sensor with an innovative hybrid viewfinder in a compact package. I would have bought one, if it hadn’t been for the fixed 35mm lens. I wasn’t bothered about it being a fixed lens, I often prefer to use primes, it was the fact the focal length is 35mm. When I used to carry a film SLR around with me in the 1980s, my “standard” lens was a 35mm F2. Nowadays, I prefer to shoot wider. 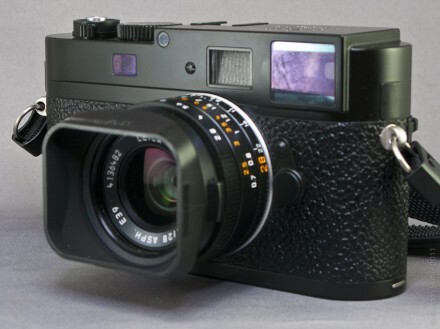 If the X-100 had been launched with a 28mm lens, I would have pre-ordered one as soon as I heard about it. As I narrowed down the options, using my criteria for a high quality, portable camera, it seems there was only one digital option – a Leica rangefinder. And now I have one. I’ve had the M9 for a couple of weeks now and been out a few times to use it. Already, I’m sure I made the right decision. It’s a great camera (well, it should be given the cost) but I’ve discovered I have a lot to re-learn. The Leica M9 does everything it needs to do and no more. There’s no autofocus, only one programme mode (aperture priority – we’ll ignore snapshot), no image stabilisation and no flash. Everything you set, you set manually, every decision is yours. This is just how photography used to be and, actually, how I prefer it – and this is what I’ve got to get used to, once again. Modern cameras have made me lazy, It’s too easy to let the camera take care of the shooting parameters for you, it happens without you being aware of it. For everyday snapping this may be adequate, but there are times when a little more thought and a tweak of the settings would have resulted in a much better photo. And taking oneself out of the decision-making loop when setting the camera up for a shot, has a negative effect on the creative aspects of image making. Using the M9 means you consciously have to consider all the parameters, settings usually taken care of by the camera’s onboard brain. This, in turn, means you have to be aware of what you are trying to capture and why. Planning a shot is a lot more important using the Leica and, for me, this is a very good thing. This isn’t to say that there aren’t times where you have to react quickly, but even in these cases, you consciously need to anticipate the shot. 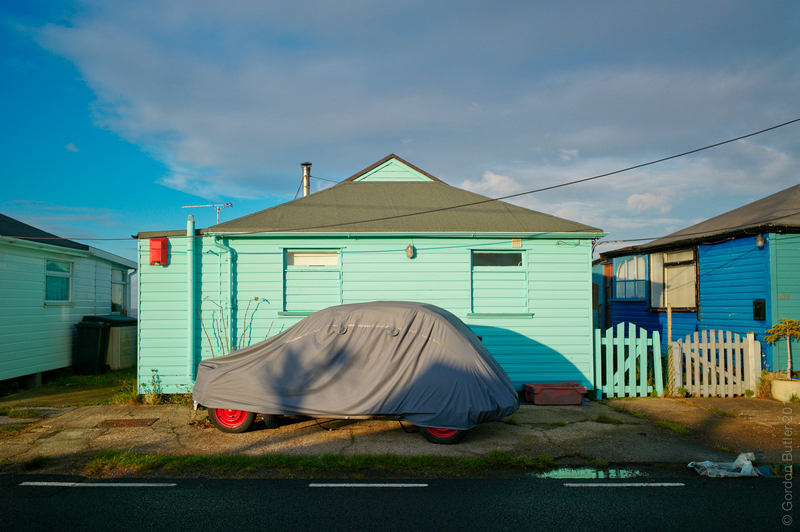 There’s no doubt the Leica M9 is an expensive camera,. So, if it doesn’t do much to help you, when much cheaper cameras do, why is it so pricey? The answer is simple – what the Leica does, it does very well indeed. The glass is as near perfect as you can get on a camera, The ergnomics are excellent, the menu system is spare, functional and efficient. And the full-frame sensor delivers crisp, clear detail in a wide range of lighting conditions. All this is delivered in a solidly-made, compact package – and the back-up service is excellent. When you buy almost any other camera, you are often paying for features you never use. I couldn’t care less about HD (or any other) video, I don’t really need a stack of artistic filters and I certainly don’t want to perform in-camera editing. With a Leica, you don’t get these seldom-used, market-driven fripperies, you get what you need and you use what you’ve paid for. In the 1980’s video recorder manufacturers added endless lists of features and functions to outdo their rivals and secure a sale, resulting in most users finding it almost impossible to use their VCRs. Eventually, manufacturers reduced the visual complexity of their products by covering the plethora of buttons and controls with a hinged door, leaving only play/record and forward/backward controls still visible on the fascia. The features were still there and the consumer still paid for them, only you just couldn’t see them. People still used feature comparison lists to inform their purchase decisions, but rarely used these advanced features once they’d got their VCRs home. A pointless waste of effort and money. I see the same thing happening with cameras. Increasingly complex menus and controls (now including touchscreens) are used to set the same few parameters – focus, aperture, shutter speed.These features are provided in an attempt to differentiate one manufacturers offering from the rest. I’m pleased I’m now out of that loop. However, the real point is I now have no excuses. The Leica will do everything I tell it to do and I now have to remember to tell it to do the right thing. It’s going to be an interesting process, watch this space.